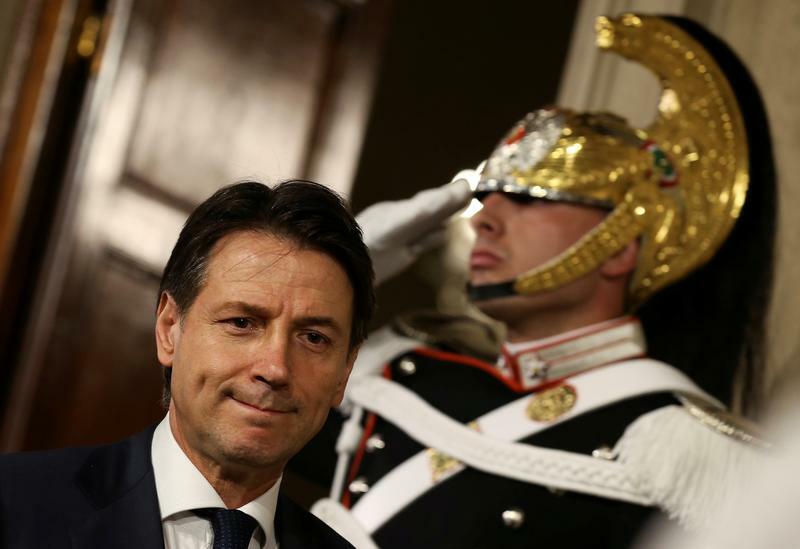 Italy's Prime Minister-designate Giuseppe Conte at the Quirinal Palace in Rome, Italy, May 27, 2018. Italy has clinched a deal with the European Commission over its contested 2019 budget plans, a spokeswoman at the Italian Economy Ministry said on Dec. 18 without adding details. The deal is expected to be formalised at a European Commission meeting on Dec. 19. The Italian government proposed last week to cut its deficit goal for next year to 2.04 percent of GDP from 2.4 percent initially. This compares with Rome’s expectations of a deficit of 1.8 percent this year. As part of the deal, Rome has also agreed to lower the 2019 GDP forecast to 1 percent from 1.5 percent next year, Reuters said quoting government and EU Commission sources. Italian government bond yields tumbled and Italian bank shares rallied on reports of an Italian budget deal with the EU. The gap between Italian 10-year government bonds and their German equivalents narrowed to around 255 basis points, the tightest level since September. Shares in Italy’s biggest banks UniCredit and Intesa Sanpaolo were up 2.9 percent and 3.6 percent respectively at 0915 on Dec 19.